Feature story in November 2013 print edition of Gun Trade World. Amb. 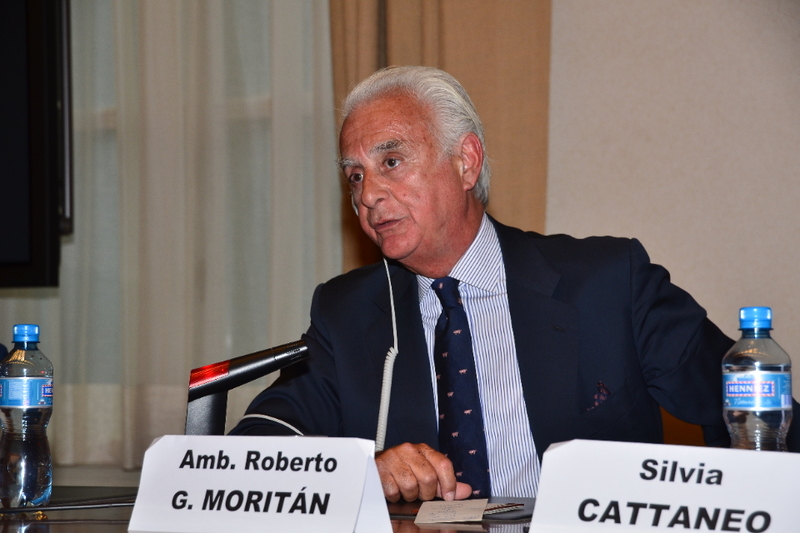 Moritán explained the ATT should not be seen as a static treaty, like others within the traditional arms control and disarmament field. Instead, he explained that the ATT is best understood as an ongoing process and a framework…dynamic and expandable with amendments and additional protocols perhaps. Additional protocols were understood to mean distinct treaties negotiated in addition to the ATT. An example of a disarmament treaty with additional protocols of would be the 1980 Convention on Certain Conventional Weapons. If the ATT is to become a broader framework for ongoing negotiations on conventional arms control and disarmament, it is only a matter of time before the volume of the UN small arms control discussion turns up. This was hinted at during the follow-on presentation by Sarah Parker of the Small Arms Survey, the UN’s go-to resource for small arms control research and policy development. Ms. Parker presented a PowerPoint version of a report she published earlier this month called: “The Arms Trade Treaty: A Step Forward in Small Arms Control?”. She explained in her report that while “the ATT has contributed several missing pieces to the framework of controls governing the international transfer of small arms,” it nonetheless has “provisions that are, in many cases, weaker than existing commitments on small arms transfers agreed more than a decade ago.” The key takeway: the ATT needs more work with respect to controlling and documenting international small arms transfers at the very least. But normative developments within the ATT and broader small arms process framework will not likely be limited to controlling and documenting international small arms transfers. Given the history of the ATT negotiations and the small arms process, restrictions on transfers of small arms to “non-state actors” or “private actors” (diplomatic homonyms that often mean rebel groups, private corporations, or individuals) will probably reappear on the UN agenda through implementation and expansion of the ATT framework. So might global restrictions in the form of national controls on civilian access or even outright prohibitions on civilian possession of certain types of small arms. In this direction, a coalition of UN agencies and contracted small arms control advocates have been quietly developing a series International Small Arms Control Standards (ISACS) since 2008. Some ISACs were released last year, but the project coordinator reports remaining ones are going to be released this year. Privately, diplomats and ISACS advocates confirm that these will be “of use” and that many states hope a critical mass of these standards become the basis for future negotiations to amend the ATT. Amendments to the ATT can be voted on six years after the instrument enters into force, and during meetings of States Parties only every third year thereafter. Decisions on amendments will not be made by consensus, but through a three-fourths majority vote of States Parties in the room. If the ATT negotiations to date and the 112 signatories to the 2006 Geneva Declaration are any indicator, most if not a three-quarters majority of UN member states would endorse “private actors,” “end-user certification,” and “civilian access” appearing on the UN’s small arms control and disarmament agenda with the ATT. In fact, Ms. Parker, along with her colleague Markus Wilson, even suggest in their small arms process guide for diplomats that a prohibition on transfers to private or non-state actors and prohibitions on civilian possession would have already become established, if not binding, international norms by now were it not for the singular opposition of the United States during the 2001 UN Conference on the Illicit Trade in Small Arms and Light Weapons in All Its Aspects, which resulted in the politically binding Program of Action (PoA). Of course, the ATT can and should do much good to help establish badly needed import/export controls with respect to conventional weapons in States currently lacking them. The ATT should also and rightly compel appropriate humanitarian criteria into exporting State decision making where such criteria are missing or weak. But can anybody deny at this point that the ATT is also a giant milestone towards global small arms control and disarmament, toward “reducing the availability of weapons to civilians in all societies?” The truth is that a legally binding ATT, among other things, can and most likely will be revised and expanded to substantially achieve all that the politically-binding PoA was hoped to achieve but hasn’t, and then some. Ms. Parker’s remark is supported by prior research making the stronger point that, in fact, for most countries around the globe, particularly for most developing or fragile states, a combination of deficient domestic regulation of legal firearms possession with theft, and loss or corrupt sale from official inventories is a more serious problem than illicit trafficking across borders. [*] Though the timing of Ms. Parker’s apparent admission (after the conclusion of the ATT negotiations) may raise certain ethical questions to some, her acknowledgement is nonetheless welcomed by this author in the spirit of it being better late than never. [*] This author first called attention to the apparent overselling of the ATT’s benefits in this regard in 2012. See http://tsmworldwide.com/dishonest-humanitarianism/ at notes 17, 18, and 19, which address research invalidating the overhyped claim by many ATT proponents, including the UN Office of Disarmament Affairs, that there was ever and still is a large problem of international trafficking of small arms. Real scholarship shows, contrary to ATT advocacy campaigning message, that the problem of international trafficking of small arms is actually quite small, and isolated to specific troubled states or sub-regions. Key source: Owen Greene and Nicholas Marsh, eds. Small Arms, Crime and Conflict: Global Governance and the Threat of Armed Violence. Routledge: 2012. P. 90-91. Jeff Moran lives in Geneva, Switzerland and is a consultant specializing in the ethical and responsible development of the international defense, security, and shooting sports industries at TSM Worldwide LLC. Previously Mr. Moran was a strategic marketing leader for a multi-billion dollar business unit of a public defense & aerospace company and an American military diplomat. He is currently studying weapons law within the Executive LL.M. Program of the Geneva Academy of International Humanitarian Law and Human Rights. Mr. Moran has an Executive Master in International Negotiations and Policymaking from the Graduate Institute of Geneva, an MBA from Emory University’s Goizueta Business School, and a BSFS from Georgetown University’s Walsh School of Foreign Service. The United States welcomes the opening of the Arms Trade Treaty for signature, and we look forward to signing it as soon as the process of conforming the official translations is completed satisfactorily. The Treaty is an important contribution to efforts to stem the illicit trade in conventional weapons, which fuels conflict, empowers violent extremists, and contributes to violations of human rights. The Treaty will require the parties to implement strict controls, of the kind the United States already has in place, on the international transfer of conventional arms to prevent their diversion and misuse and create greater international cooperation against black market arms merchants. The ATT will not undermine the legitimate international trade in conventional weapons, interfere with national sovereignty, or infringe on the rights of American citizens, including our Second Amendment rights. We commend the Presidents of the two UN negotiating conferences – Roberto Garcia Moritan of Argentina and Peter Woolcott of Australia –for their leadership in bringing this agreement to fruition. We also congratulate all the states that helped achieve an effective, implementable Treaty that will reduce the risk that international transfers of conventional arms will be used to carry out the world’s worst crimes. The final draft of the proposed United Nations Arms Trade Treaty (ATT) is out, and it contains language that may be incendiary to gun rights activists in the United States, with references to maintaining “national control systems” for small arms and ammunition. Bellevue’s Alan Gottlieb, executive vice president of the Second Amendment Foundation, has been vocally critical of the ATT process and is concerned about “vagueness” in the current language. SAF’s Julianne Versnel was at the UN last week to testify about unintended consequences of international gun control measures. From the proposed treaty on Page 5: “Each State Party shall establish and maintain a national control system, including a national control list, in order to implement the provisions of this Treaty.” Versnel suggested this may be one of the “core problems” of the proposed treaty, but it might take a determination from someone skilled in diplomatic speech to figure it out. On Page 9 of the document, there is an entire section on record keeping that just might be enough to cause many people on Capitol Hill to follow the lead shown by Republican Senators Rand Paul, Mike Lee and Ted Cruz, discussed by this column that might prevent the U.S. from signing on. 1. Each State Party shall maintain national records, pursuant to its national laws and regulations, of its issuance of export authorizations or its actual exports of the conventional arms covered under Article 2 (1). 2. Each State Party is encouraged to maintain records of conventional arms covered under Article 2 (1) that are transferred to its territory as the final destination or that are authorized to transit or trans-ship territory under its jurisdiction. 2 (1), conventional arms actually transferred, details of exporting State(s), importing State(s), transit and trans-shipment State(s), and end users, as appropriate. But does all of this treaty language really mean what a lot of people will think it means: The UN dictating some sort of national gun registry, at least on imported firearms? Because of the way this document is written, even if some UN spokesperson says “No,” there will be a legion of gun rights advocates who say “Yes,” and they will have compelling, if not convincing arguments. But the Preamble is just that. It’s apparently not part of any binding language. The authors of this document will be largely to blame for any misunderstanding, and they have opened themselves up to criticism that the language seems deliberately foggy and far too steeped in diplomatic semantics. That translates to being something less than “plain English.” Since the Obama administration has indicated a willingness to sign onto such a treaty, the Senate just might reject it out of hand, but before that happens, somebody will have to translate it for them. The leader of America’s oldest gun rights legal foundation Nov. 7 called out President Barack Obama for his support of the United Nations Small Arms and Light Weapons Treaty the day after the election. “It’s obvious that our warnings over the past several months have been true,” said Alan Gottlieb, founder and executive vice president of the Second Amendment Foundation, based in Bellevue, Wash.
Less than 24 hours after winning re-election, the Obama’s administration joined with China, France, Germany and the United Kingdom, and more than 150 other governments, in supporting renewed debate on the proposed United Nations arms trade treaty, confirming the worst fears of the American gun rights community,” said the founder of SAF, which was in 1974, and which has grown to more than 650,000 members and supporters and conducts many programs designed to better inform the public about the consequences of gun control. “The election was called about 11 p.m. Tuesday and by 11 a.m. this morning, we got word that the United States was supporting this resolution. We have to be more vigilant in our efforts to stop this proposed treaty,” he said. The vote came at the U.N. General Assembly’s meeting of the First Committee on Disarmament at the world organization’s headquarters in New York City. According to a State Department webpage devoted to the Arms Trade Treaty, the Obama administration strongly supports the treaty potential. “The ATT should include all advanced conventional weapons, including tanks, armored combat vehicles, artillery systems, military aircraft, military helicopters, naval vessels, missiles, missile launchers, small arms and light weapons, and combat support equipment. It should also include parts, components, and/or technology to manufacture, modify, or repair the covered items,” the webpage said. Julianne Versnel, the SAF operations director, who has been back and forth to the United Nations over this proposal, said the fight is not finished. The measure will be considered for finalization in March, she said. “We will continue to monitor this issue and oppose any effort to enforce a global gun control measure,” she said. Amnesty International issued a statement Wednesday lauding passage of the resolution, saying the treaty will protect human rights, she said. Nossell said the 157 governments at the U.N. General Assembly’s First Committee on Disarmament in New York voting to finalize Arms Trade Treaty in March is a breakthrough. “It’s the greatest show of support the treaty has ever received,” she said. “Among the ‘big six; arms-exporting countries, only Russia abstained from voting,” she said. China joined France, Germany, the United Kingdom and the USA in supporting the resolution. Gottlieb said Amnesty International does not appreciate that gun rights are enshrined in the Bill of Rights. “The right of self-defense is a human right,” he said. “In this country, the Second Amendment protects that right,” he said. According to Clare, “The government seems to be headed in the right direction. I was pleased to hear the concise and clear presentation by Senior Policy Advisor Kim Joslin of the Canadian Delegation which was in strong support of firearms owners. In particular, Canada supported the US position which opposes including any aspect of components or ammunition being included in the PoA. Government representatives Habib Massoud and Steve Torino will be attending the second week of the conference. It was clear to me in listening to the speeches from delegates that it will be difficult to achieve consensus on several aspects of the PoA‘s implementation plan in the two weeks allotted”. Madame President, I am Sheldon Clare, President of Canada’s National Firearms Association. The NFA is Canada’s largest advocacy organization representing the rights of Canadian firearms owners. Our members are concerned that UN attempts to regulate small arms and light weapons are misdirected and will have an unjustifiably harmful effect upon the ability of free people to have access to firearms and ammunition for perfectly legitimate purposes. The NFA rejects as false that civilian access to small arms is the problem. Canada’s National Firearms Association (NFA) recommends that controls on small arms and light weapons be limited solely to major crew-served weapon systems possessed or sold by nation states – not individually operated firearms owned or desired to be owned by civilians, also called non-state actors. The rights and property of Canadians, and our firearms businesses engaged in the lawful trade in firearms and ammunition, including surplus firearms and ammunition, must not be subject to UN edict or control. Quite simply, firearms ownership and use are matters of national sovereignty, civil freedoms, property rights, and are related to national culture. Also, control of ammunition, including marking beyond caliber, date, and manufacturer would be excessive; it is unreasonable, unnecessary, and fiscally impossible to uniquely mark ammunition. Small arms in civilian hands allow people to defend themselves from aggression. Self-defense is a natural right of all individuals. This is especially important in the event of unrest and disorder, or in case of state-mandated crimes against humanity. Civilian ownership of arms is an important factor in preventing and limiting the effect of government-encouraged murders such as what occurred in Srebrenica and Rwanda. Disarmed in Srebrenica by UN peacekeepers and in Rwanda by their own government, these people were helpless in the face of organized aggression, especially when in both cases the UN was powerless to provide protection. While governments need to act against terrorism, disarming civilians violates fundamental democratic principles. 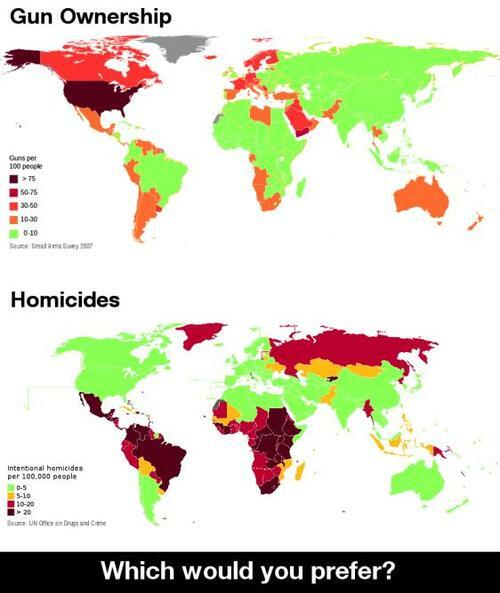 Perhaps Governments should deal with unrest by addressing the economic situations, political differences, and human rights issues that contribute to people agitating for change rather than engaging in one size fits all solutions affecting the rights of free people to own and use firearms. So spoke SAF’s Director of Operations Julianne Versnel, whose remarks to the U.N. Programme of Action conference were unlike anything many delegates had ever heard before. The conference is seen as the first step toward rekindling discussions about an on-going process to continue development of a small arms and light weapons treaty, which earlier this summer collapsed when several nations opposed it. Alan Gottlieb, Laura McDonald, Otis McDonald and Julianne Versnel at the 2011 Gun Rights Policy Conference in Chicago, Illinois. UN Arms Trade Treaty: A threat to the 2nd amendment? Negotiations at a United Nations conference over a proposed Arms Trade Treaty, which would regulate conventional arms sales across borders, ended in July without a report. The talks will likely resume, however, and many are concerned about the treaty’s implications for the Second Amendment. The concern is justified, given the treaty’s goal is weapons control. Its terms are vague and could be used to launch efforts to attack the constitutional right to bear arms. Foreign treaties are signed by the president and ratification is approved or rejected by the U.S. Senate, thereby bypassing the House of Representatives. The current administration has stated on more than one occasion it believes Congress is an impediment to its policies; thus, attempting gun control by foreign treaty may be considered the path of least resistance, particularly if the treaty specifics do not come to light prior to approval. Once passed, vague treaty terms could be more restrictively defined. The initial U.N. conference on the treaty was held July 2-27, 2012. A Review Conference will be held Aug. 27 to Sept. 7, 2012. The supporting resolutions and documents for these conferences reference a “Programme of Action,” but not the points of action themselves. Thus, the original document is critical, and by referencing only the “Programme of Action” the full implications of the treaty language have not been central to the public debate. References to “regions of the world … [with] serious problems with the excessive and destabilizing accumulation of small arms” and the focus on “porous borders” in more recent U.N. documents, lead many to the conclusion the U.S.-Mexico border is a focus of the treaty. Mexico is part of the leadership of the treaty conference. If gun (or ammunition) ownership is illicit, the treaty could conceivably justify an international effort to put in place “adequate laws” in the United States as deemed acceptable to the U.N. If gun ownership was illicit, the treaty would require criminal penalties. Similar issues arise with the interpretation of “stockpiling.” Could the term be defined as a single weapon? More than three bullets? The treaty encourages moratoria on weapons. Treaty implementation encourages the use of regulations and administrative procedures to accomplish the goal, again bypassing the full Congress. Experience has taught that an idea or policy can be approved or passed, only to have the idea and concept redefined to implement an entirely different outcome that never would have passed the vote in the first place. This U.N. treaty raises the concern that the U.S. may sign away its sovereignty on the gun ownership issue. 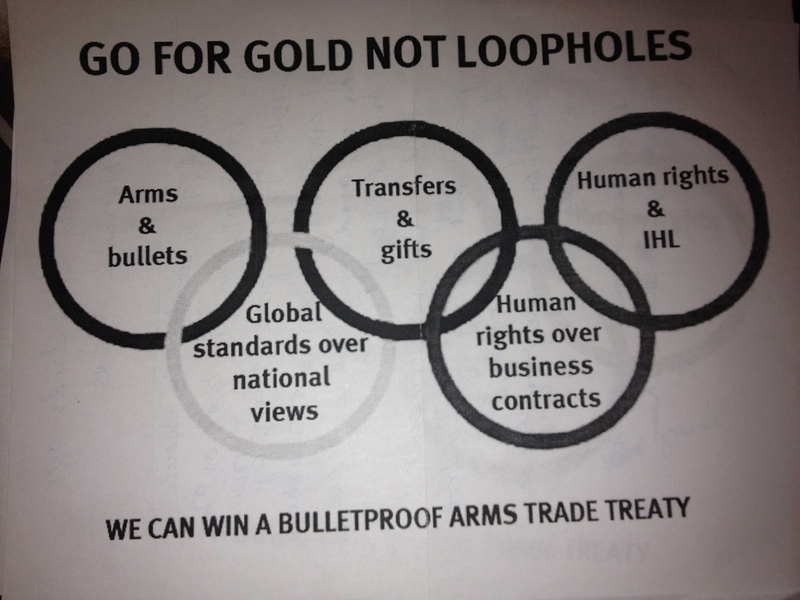 One might wonder what this Arms Trade Treaty would look like when implemented. The answer hinges on the interpretation of specific terms mentioned above, such as “illicit” and “stockpiling,” as well as “adequate laws, regulations and procedures,” “legal” and “destabilizing accumulation.” For one possible outcome, one needs to look no farther than Venezuela. On June 1, 2012, a new Venezuelan gun control law promoted by the administration of President Hugo Chavez went into effect that makes the sale and manufacture of weapons and ammunition illegal and requires all weapons to be registered. Only the military, police and security personnel are permitted to purchase a firearm or ammunition. It is interesting to note that Venezuela’s close ally, Iran, is on the leadership committee for the Arms Trade Treaty. With mistrust surrounding the recent Fast and Furious scandal, the federal government’s efforts to provide U.S. citizen gun information to foreign governments through eTrace, and a belief Obama administration officials would like to see greater gun control, it is no wonder there is serious concern about the U.N. Arms Control Treaty. The treaty appears to be yet another tactic “under the radar” aimed at the Second Amendment. As early as last summer, 13 U.S. Senators sent a letter to the president reflecting this concern. On July 26, 2012, a bipartisan group of 51 U. S. Senators sent another letter to President Obama and Secretary of State Hillary Clinton threatening to oppose the treaty if it did not protect America’s constitutional right to bear arms. When the Arms Trade Treaty conference group announced on July 27, 2012, that it had failed to come to an agreement, it cited the changing U.S. position the day before as issue. One could therefore assume the Arms Trade Treaty was a U.S.-led effort that could neither stand without the current administration’s participation, nor without language that might infringe on the American right to bear arms. Have efforts for gun control slowed? No. As a separate move toward gun regulation, a Senate amendment was submitted on July 25, 2012, the day before 51 Senators sent a letter to Obama regarding the Arms Trade Treaty. The amendment was submitted for attachment to the Cyber Security Act (S.B. 3414) and would make it illegal to transfer or possess large capacity feeding devices such as gun magazines, belts, feed stripes and drums of more than 10 rounds of ammunition with the exception of .22 caliber rim fire ammunition. As reported in the Congressional Record for July 25, 2012, the amendment has been tabled for the time being. What will likely happen in current months? A variety of tactics may be at work. U.N. committee members are discussing efforts to bring the proposed report and treaty before the U.N. General Assembly in September. Mexican representatives have been quoted as saying there will certainly be a treaty in 2012. Western diplomats believe the negotiations will be revived after the election. The State Department has stated the U.S. would support a second round of negotiations next year. Then there may also be continued efforts to attach amendments to legislation that otherwise is deemed vital to the nation. Joan Neuhaus Schaan is the fellow in homeland security and terrorism at the Baker Institute, and the coordinator of the Texas Security Forum, and serves on the advisory board of the Transborder International Police Association. She has served as the executive director of the Houston-Harris County Regional Homeland Security Advisory Council and on the board of Crime Stoppers of Houston, Inc.
Perhaps the United Nations should have a motto that reflects its focus on “government stability” and the balance of power between the people of the world and their respective governments. I’d suggest the UN consider clearly stating, “The most despicable government we’ve ever known was pretty good.” If you need evidence beyond the fact that the lambs have been feeding at the same trough as the crocodiles all of these years, just look what the UN did as the much anticipated and dreaded conference on a binding Arms Trade Treat (ATT) began in July. With the shadow of Syrian repression cast across most news media in the world and clouding the ATT talks, the UN turned to Iran to help negotiate a global arms treaty in a move that is drawing scorn and ridicule around the globe. But apparently not among the striped-pants diplomats meeting in New York City. The appointment was made by members of the UN Conference on the ATT shortly after the month-long conference began in July. The committee to which Iran was appointed is tasked with coming up with a treaty regulating the international trade of conventional small arms and, proponents hope, ammunition. “Right after a UN Security Council report found Iran guilty of illegally transferring guns and bombs to Syria, which is now murdering thousands of its own people, it defies logic, morality, and common sense for the UN to now elect this same regime to a global post in the regulation of arms transfers,” said Hillel Neuer, executive director of UN Watch, a non-governmental monitoring group based in Geneva. “This is like choosing Bernie Madoff to police fraud on the stock market. And the UN’s scandalous choice of Iran is exactly why we fear that Syria’s declared bid for a UN Human Rights Council seat is not impossible.” The 15-nation committee is led by Argentina, which serves as president, and includes the US, Iran, China, and Russia as nations that serve as vice presidents. UN Watch called on UN Secretary- General Ban Ki-moon to condemn the decision to name Iran to the committee. “He should remind the conference that the Security Council has imposed four rounds of sanctions on Iran for refusing to halt its prohibited nuclear program, and that Iran continues to defy the international community through illegal arms shipments to the murderous Assad regime,” Neuer said. US officials played down the significance of the appointment. “Obviously we oppose (Iran’s appointment), but it’s a symbolic position with little impact on a month-long negotiation that must be decided by consensus,” one senior State Department official told Fox News. “It will ultimately face the approval of the United States regardless of which country holds one of 14 powerless vice president positions. At that point, we will be looking for an arms trade treaty that makes the legitimate global weapons trade safer by bringing the rest of the world’s arms trade regulations up to the high US standard.” However, two weeks into the deliberations on the ATT, there seems to be a wide divergence of position by different governments. There is no guarantee the negotiations now in progress will produce a treaty, let alone a good one. In February, preparatory talks on the ground rules for this month’s talks nearly collapsed due to procedural wrangling and other disagreements. In the end, the US and other countries succeeded in ensuring the treaty must be approved unanimously, so any one country can effectively veto a deal. In spite of Iran and Syria, there are still deep divisions on key issues to be tackled in the treaty negotiations, such as whether human rights should be a mandatory criterion for determining whether governments should permit weapons exports to specific countries. China wants to exempt small arms, while several Middle East states oppose making compliance with human rights norms a mandatory criterion for allowing arms deliveries. Meanwhile, Canada wants to exclude civilian small arms and ammunition altogether. Britain has joined France, Germany and Sweden in calling for a solid, effective and legally binding treaty. According to Peter Brookes of the Heritage Foundation, a treaty would damage US foreign policy and prevent it helping friends such as Taiwan. But he noted the treaty was not yet a done deal. “Diplomats will natter away about it all month over cappuccinos in Turtle Bay,” he wrote. “But the White House isn’t doing the country any favors by playing footsie with a UN effort to take aim at our liberties and disarm our foreign policy.” Meanwhile, many organizations opposed to the treaty have been allowed to speak at the UN, and more than 130 congressmen, led by Rep.
Mike Kelly (R-PA), signed a letter sent to President Barack Obama in early July expressing their opposition to a UN arms trade treaty if it violates US gun owner rights and sovereignty. The letter includes specific demands— that the treaty leave out small arms and ammunition and recognize an individual’s right to self-defense. The Obama administration has claimed that there are safeguards to their treaty approach, but the safeguard is insufficient for opponents of the US participation, not least because UN talks invariably involve compromise. “The administration swears they have a whole bunch of red lines, and they will block consensus if anyone crosses them,” said a government relations consultant as senior associate with the Commonwealth Consulting Corporation. “But the dynamics of international negotiations are that once you get 90% of what you seek, you say, ‘Maybe there is a way we can finesse the final 10%.’ ” A clause permitting arms transfers solely between UN member states would allow UN member China to object to US arms sales to Taiwan, a non-UN member that China considers to be a renegade province. This would be highly problematic for the US at a time when Beijing is engaged in an unprecedented arms buildup. Another fear is that Arab or other states critical of Israel may use any treaty language on human rights standards to argue against US arms transfers to the Israeli government—as they currently use the UN Human Rights Council to condemn Israel. US gun lobby concern focus on the emphasis the treaty places on governmental— as opposed to individual— rights to guns, according to Wayne LaPierre, NRA executive vice president. “They’re trying to impose a UN policy that gives guns to the governments— but the UN doesn’t in turn make moral judgments as to whether these governments are good or bad,” he said. “If you’re the government, you get the guns, if you’re a civilian, you don’t. The gloves have come off at the United Nations as negotiations over the proposed global Arms Trade Treaty (ATT) are moving toward a climax, and two leading gun rights advocates on the scene are convinced treaty proponents want to include small arms and ammunition in the document, and slip around the Second Amendment. “This is a blatant attempt to negate the recent Second Amendment court victories we’ve had in the United States, and to get around Second Amendment protections,” he asserted. They are at the UN representing the Citizens Committee for the Right to Keep and Bear Arms, the Second Amendment Foundation and the International Association for the Protection of Civilian Arms Rights (IAPCAR). Both helped create IAPCAR, which now has member organizations around the world. A coalition of global gun control organizations is pushing for the most extreme language and tenets in the treaty, which is supposed to be signed this week. That group includes International Action Network on Small Arms (IANSA) and Oxfam International and Control Arms. 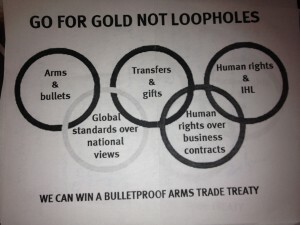 The latter group is apparently responsible for a handout depicting their vision of the treaty provisions highlighted in Olympics-style rings. Ominously, two of those items are “Arms and Bullets” and “Global Standards Over National Views.” The former alludes to privately owned firearms, and the latter is a veiled but direct threat to the Second Amendment, Gottlieb said. But with less than four months to go before the national elections, Barack Obama is painting himself into an ever-tightening corner with American gun owners. That represents a significant and influential voting bloc, and a global gun control treaty could easily push many undecided voters into the Romney camp. A near final draft and the closing days of the UN Arms Trade Treaty talks could spell trouble for Canadian interests. There is tremendous pressure to conclude a deal by July 27 and if the latest draft is any indication, the deal will not be a good one for Canadians. In addition to its participation at the UN with the World Forum on the Future of Sport Shooting Activities, Canada’s National Firearms Association is a founding member of The International Association for the Protection of Civilian Arms Rights (IAPCAR) which includes many national and international organizations promoting civilian ownership of firearms. At over 62,000 members, Canada’s National Firearms Association is this country’s largest advocacy organization promoting the rights and freedoms of all responsible firearm owners and users. The Arms Trade Treaty – Falling Apart? Manasquan, NJ –-(Ammoland.com)- With only a week left for treaty negotiations, one might surmise from the multitude of complaints of its proponents that the Treaty, as it is being drafted, is destined to fail because it is becoming too weak. But no matter how “strong” its language, it will fail very simply because it’s a foolish idea, concocted with fantasies that cannot work. And here we thought all along that the objective of an Arms Trade Treaty (ATT) was to control the illegal arms trade, not to control the actions of tyrants (an impossible goal)! The arguments and complaints being bandied about by Treaty proponents are abundant. On Wednesday morning, the Chair of Main Committee I released a new draft text on the goals and objectives of the arms trade treaty (ATT). The most glaring change to the text was the removal of language stating that preventing violations of international humanitarian and human rights law is an objective of the treaty. Leaving this out will have serious repercussions for the negotiation of other sections of the treaty and for the treaty’s implementation. It is an abso­lute necessity that this be corrected [sic]. Achieving the fundamental goals of the ATT also means the treaty will need strong, clear, and effective implementation mechanisms. Unfortunately, the draft text on implementation does not yet meet this requirement. It suggests notification of export authorizations to relevant transit and transshipment states would be voluntary when it should be mandatory. It indicates that contractual obligations to sell arms would supersede the ATT when clearly the ATT should take precedence. It suggests actions states “may” take on brokering, when such actions should be mandatory.In general, it is vague on binding language. If adopted as written, the implementation section would undermine the treaty’s objectives [emphasis ours]. There are practical reasons for these complaints. The Treaty’s proponents need to pressure those countries that expect to be on the receiving end of generous financial gifts, and which are expected to increase their capacity to comply with the Treaty’s obligations. They also need to keep their supporters eager for the next “iterations”(revisions) to come. The only benefits to us of a weaker treaty is that it will take longer to implement —and longer to fail— giving us the time we need to ride out the destructive waves of futile and foolish attempts to control the actions of evil-doers, and to destroy legal civilian firearm ownership. We need time to prepare for a new century of attempts to break the strength of civilian sovereignty, and a rash of new weapon-control laws attempting to bring us into compliance with “global norms,” luring us with the hint of paradise on earth. Dr. Paul Gallant and Dr. Joanne D. Eisen practice optometry and dentistry,respectively, on Long Island, NY, and have collaborated on firearm politics forthe past 20 years. They have also collaborated with David B. Kopel since 2000, and are Senior Fellows at the Independence Institute, where Kopel is Research Director. Most recently, Gallant and Eisen have also written with Alan J.Chwick. Sherry Gallant has been instrumental in the editing of virtually all ofthe authors’ writings, and is immensely knowledgeable in the area of firearm politics; she actively co-authored this article. This paper perpetuates the belief, on which much of the ATT is based, that the big problem the world faces is a lack of agreed standards on arms transfers. That’s wrong: The big problem the world faces in this regard is that many U.N. member states are dictatorships, supporters of terrorists, or simply incapable of controlling their own borders. But the paper makes it clear that the job of the U.N.—as the U.N. itself sees it—is to make the case for a very broad treaty. As CASA puts it, “Advocacy efforts should be developed…through relevant reports and op-eds, messages, and statements at relevant meetings and to the press.” So watch out for U.S. taxpayer-funded funded U.N. propaganda in a newspaper near you. How, exactly, would the ATT do that if it doesn’t “impede” or “interfere” with lawful ownership? The U.N. would have a lot more credibility on the ATT if it didn’t imply so regularly that the problem is as much lawful ownership as it is the international arms trade. All this just goes to show that the U.N. regards gun ownership—even under national constitutional protection and for lawful activities—as a cultural failure that it needs to redress and that it has no patience at all with the idea that self-defense is an inherent right. And that is exactly why the concerns that Senator Jerry Moran (R–KS) expressed at Heritage on Tuesday are so important—and why his criteria to ensure that the ATT does not infringe on Second Amendment rights are so valuable.